Squeegees in this case has a double meaning for sure! Check out Mr and Mrs Squeegee who own and operate A New View Window Cleaning in Washington, Iowa. That name is good enough for me. They keep the the windows clean in Coralville and Iowa City area which includes Washington and Johnson counties. And, on top of that, they have a great list at their site to help you find a window cleaner in your own area. You personally do not want to end up like this with a squeegee in your hand. Although many of my windows have window coverings, the ones in my sunroom/office are definitely naked. Yesterday, my 8 year-old grand-daughter , sitting in my office looking at the pond outside my windows, was quite excited when she noticed that it had more than water lilies and the normal 15 large fish in it. With her keen eye she noticed that there were several baby fish ( and, believe it or not, that little school of fish is known as a “fry”) down toward the bottom. Please allow me to back up. When we moved into this house, a little over 4 years ago, I committed a major faux pas. As a novice pond keeper, I did something that many in that category do; I left the hose running to fill the pond (it only needed a little new water) on overnight. 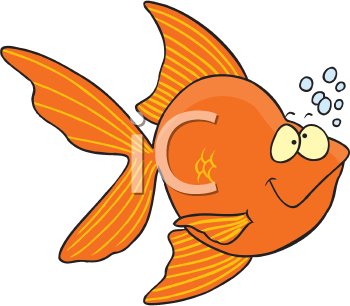 The next morning – and that same grand-daughter was spending the night – not only was the pond overflowing, but about half of the fish were floating on top, far past any goldfish resuscitation measures. I researched and found out quickly that I had over-chlorinated the poor critters. This was so easy to find discussed online that I truly thought someone already knew what I had done, and had already written up my sins to tell everyone in cyberspace. Fortunately, my grand-daughter and I both recovered, and we were grateful that there were still 8 breathing fish left. Forward to present day. We now have 15 big fish in the pond, 10 gold and 5 black. And, to our delight we have at least 5 or 6 little ones. I just love a happy ending. And in this case, that includes a real fish fry.